Tag Archive | "Passion Sunday"
Come anytime between 11 a.m.-1 p.m. and 6-8 p.m.
Held at The Springs Church, 135 N. Grant St., Cedar Springs, MI 49319. April 9: Palm/Passion Sunday service at 10:15 a.m.
April 13: Maundy Thursday at 7 p.m. at East Nelson UMC, 9024 18 Mile Rd. April 14: Good Friday. We will walk the Stations of the Cross at the Springs Church, 135 N. Grant, from 11-1 and 6-8 p.m.
April 16: Easter sunrise service at 8 a.m., followed by breakfast at 9 a.m., and regular Easter service at 10:15 a.m.
April 14: Good Friday service at 7 p.m.
April 16: Easter Sunday services 9:30 a.m. Devotional and breakfast, and 10:45 a.m. morning worship. No evening service. April 15: Easter Eggstravazana for kids 0-10 years. Registration begins at 11 a.m. Egg Hunt and so much more at 12 p.m.
April 16: Easter Worship Service at 10:00 a.m.
April 16: Easter Worship Services at 9:00 a.m. and 10:30 a.m. There will also be a great celebration happening in our Kid’s Splash Park Live during both services! April 16: Easter Celebration at 10:00 am. April 14: Good Friday Walk and Remember 12 noon to 1:30 p.m. Walk begins at Resurrection Lutheran and ends at Sand Lake United Methodist. All churches below participating. April 16: Easter Service at 11 a.m.
April 16: Easter Day Mass of the Resurrection of the Lord 7:30 a.m. and 9:30 a.m. Easter Egg Hunt after 9:30 Mass for children through 5th grade. April 9: Palm Sunday Worship 9:30 a.m. Egg Hunt to follow. 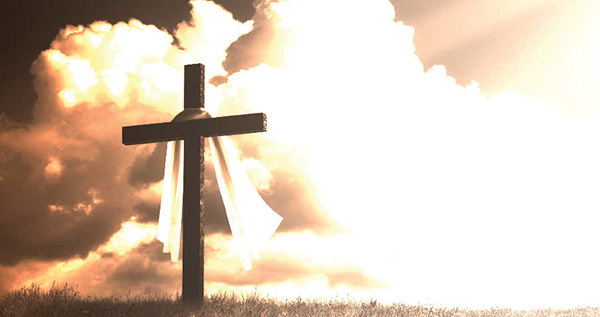 April 14: Good Friday Service 7:00 p.m.
April 16: Easter Breakfast 8 a.m., Easter Worship 9:30 a.m. Balloon release after service. April 16: Easter SONrise Service 8 a.m. with free breakfast to follow. April 16 Easter Sunday Service 10:55 a.m.
April 16: Easter service at 10 a.m. “Resurrection Power.” Refreshments served before the service.